Making a New Year’s resolution is easy; keeping it is another story. A 2015 study from U.S. News and World Report found 80 percent of New Year’s resolutions fail by the second week of February. The common culprit? We set goals that are oftentimes unrealistic, and when we realize these goals are tougher than we thought, we get discouraged and fall back into old habits. When choosing a New Year’s resolution, remember the acronym SMART, which stands for specific, measurable, achievable, relevant and time-bound. Specific. Your resolution should be crystal clear. Concrete goals are more important than just vaguely saying “I want to lose weight.” You need to have a set goal: How much weight do you want to lose? By when? Measurable. Keep track of your progress in a journal, make notes in your phone or in an app designed to help you keep track of your behaviors. Taking notes not only keeps you accountable for your goals, but it also helps you track progress, no matter what your resolution may be. Achievable. Trying to take too big a step too fast can leave you frustrated or affect other areas of your life, to the point where the resolution takes over. Set yourself up for success and make your resolutions achievable. For example, if you want to save X amount of money in five years, choose an amount of money that’s realistic for you to set aside to reach this goal. Relevant. Ask yourself: Is this a goal that really matters to you? If you choose a New Year’s resolution out of remorse or in the spur of the moment, it’s not likely to last. But if you think about what’s good for you, and good in the long term, you are changing the structure of your life. Which will reinforce that resolution. Time-bound. The timeline toward reaching your goal should also be realistic. Give yourself enough time to complete it (but not enough time to slack off). If your New Year’s resolution is health related, Pure Health and Wellness can help! We offer a variety of services – contact us for details and to schedule an appointment. And when your resolutions are stressing you out, a relaxing massage or rehabilitating acupuncture could be quite complementary. Our professional staff is excited to be a part of your journey! 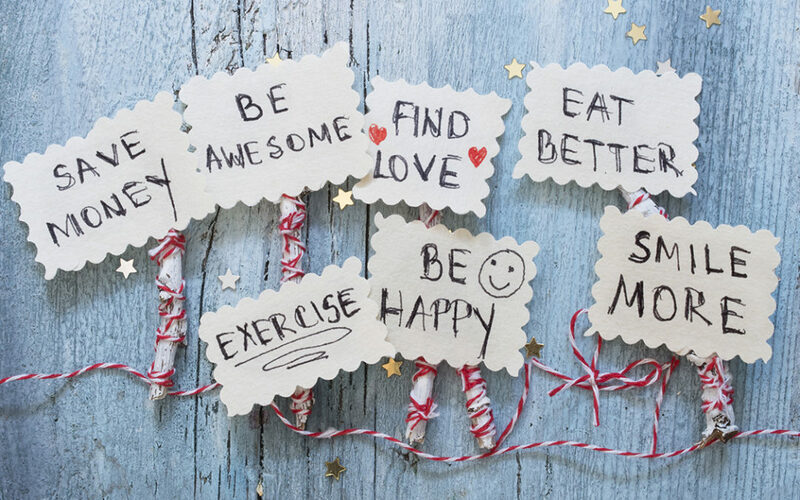 Ready to rock your New Year’s resolution? You got this! And just give Pure Health and Wellness a call if you need a little support: 623-243-4097.